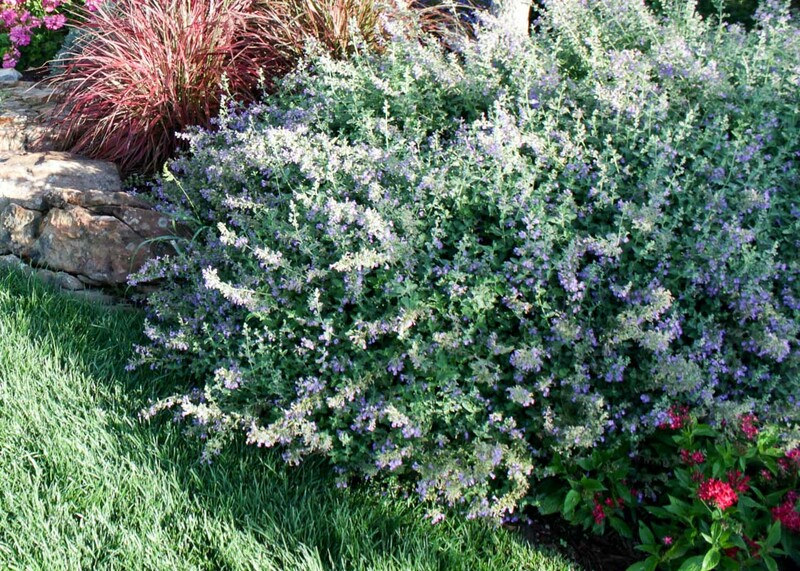 Catmint Walkers Low - Tree Top Nursery & Landscape Inc. This perennial is grown for its lavender blue blooms which appear throughout the growing season. It spreads wider than tall and forms a mound. Its leaves are green-grey and fragrant. This plant works well as a larger scale groundcover, in mixed borders, and in rock gardens. It does well in full sun to part shade. It is drought tolerant and somewhat heat tolerant. It is very low maintenance and does not have any serious pest or disease problems.